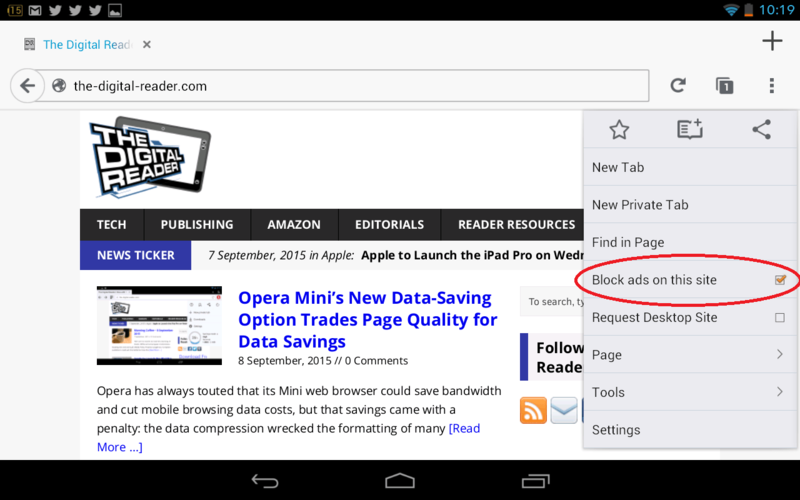 Eyeo, the developers behind the infamous Adblock Plus browser extension, launched an Android web browser as a public beta earlier this year. Now that browser is out of beta, and it is also available for the iPad and iPhone. You can download the browser from iTunes or Google Play. The browser blocks adverts out of the box (on Android), so you might want to go into the settings menu and uncheck the "block ads on this site" box. That option is site-specific, which means you can unblock the ads only on the websites you want to support. Advertising may finance the content we read every day, but it comes at a high indirect cost. The ads don't just take up screen real estate and demand you attention, but it also impacts your pocketbook. Is it any wonder why over 300,000 people downloaded the Android beta in the browser’s first week, as Eyeo reports?